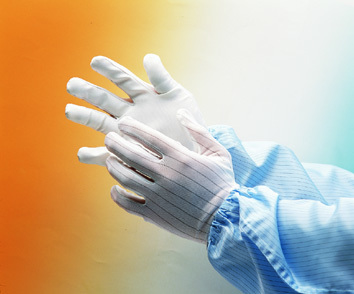 The ESD Lint Free Gloves with Dotted Palm is made of smooth polyester material. Light weight and comfortable even after wearing for prolonged hours. Its reliable ESD properties protect static damages to components during handling. The PVC dots on palm provide good gripping effect when handling products with smooth surfaces.